And now it can be all yours. Powered by beautifully sounding turbocharged engines, ranging from the base four-cylinder to the top of the charts V-6, and featuring the kind of styling you'd expect, the new 2017 Porsche Macan takes the small SUV class to a whole other level. Press play to see – and hear – the new Macan up close, then visit our Thousand Oaks, CA Porsche dealership serving Los Angeles today for more. Along with the stunning level of performance in the new 2017 Macan, you'll find the kinds of tech and safety offerings found among all our new Porsche models here in the Los Angeles area. The styling and amenities offered throughout is second to none, and you'll understand and appreciate the true meaning of luxury with all your everyday travels in your gorgeous new Macan, so hurry over to find a great deal on yours. 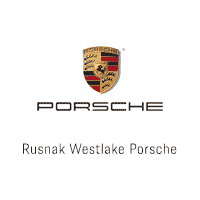 Swing on over to Rusnak/Westlake Porsche today and we'll be happy to get you started.